This is one of the features I was most excited about when I first conceived of EssayTagger! Read on or watch the tutorial video! 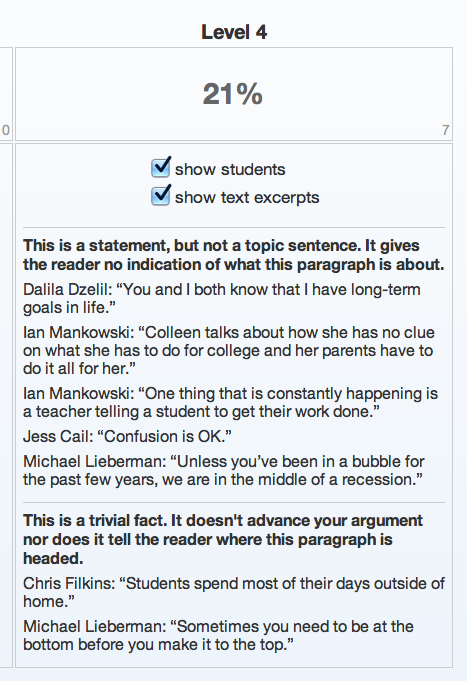 When you grade your essays in our system you're tagging and evaluating the students' text and storing it all in our database. That means that we can then retrieve all that information in powerful ways that aren't possible with traditional grading methods. 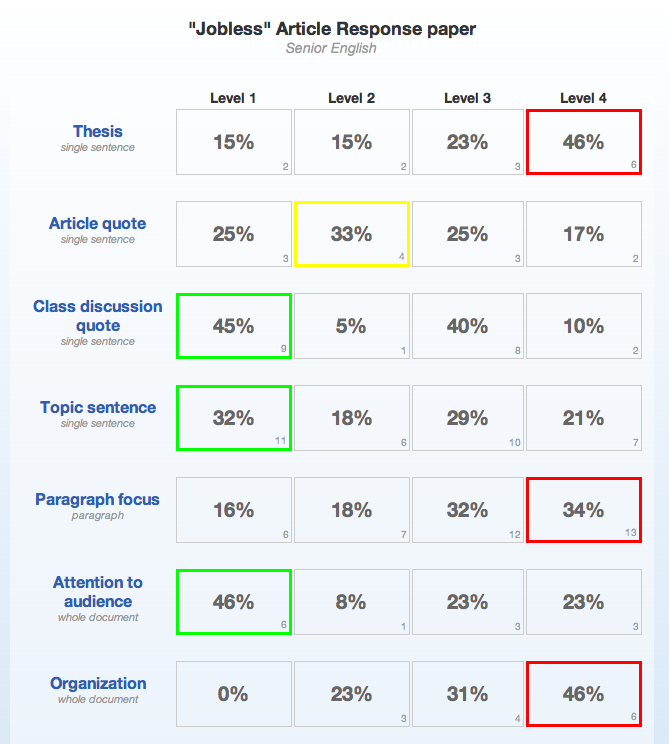 Grade a class set of papers and then go to the assignment's rubric performance analysis screen. 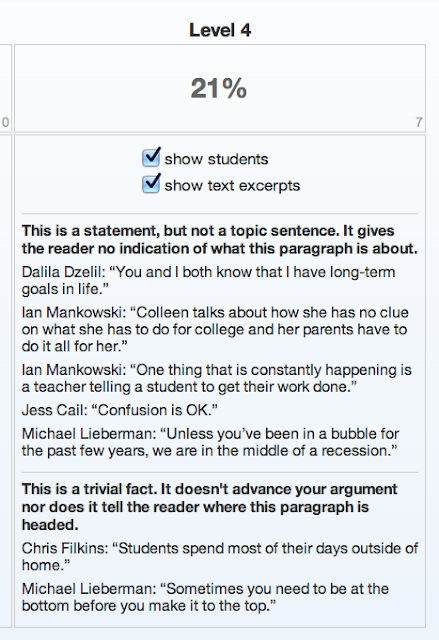 The bold text is the feedback comment you selected for the student and the quoted text is the corresponding excerpt from each student's essay! The list is filtered to display, in this case, only the excerpts that were evaluated as being of "Level 4" quality. 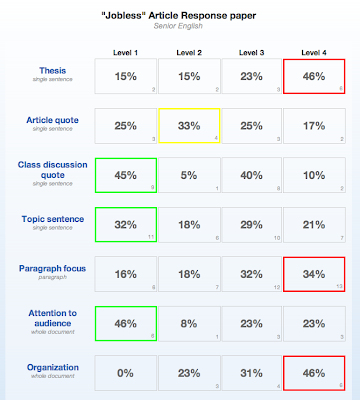 You can display the associated text excerpts for each quality level. 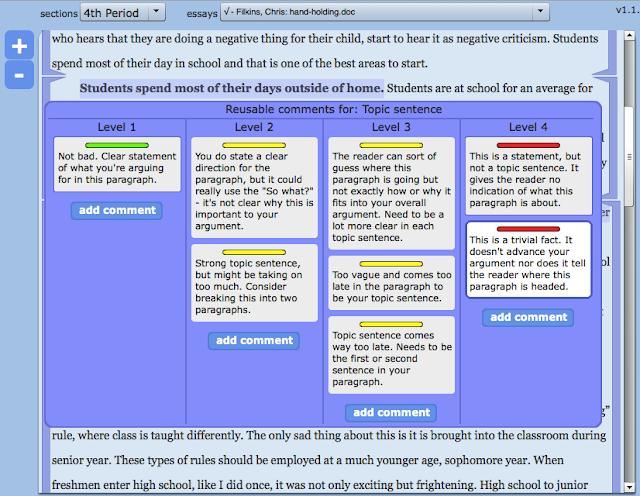 Notice the highlighted essay text just above the comment selection box: "Students spend most of their days outside of home." 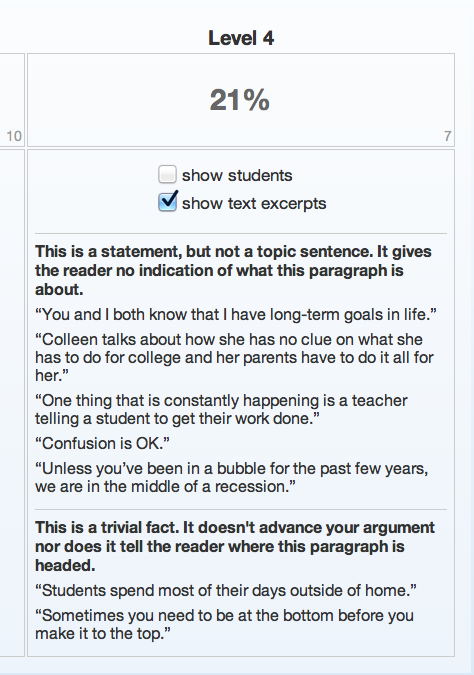 Since that's a bad topic sentence, I'm going to select a Level 4 feedback comment. I chose the "This is a trivial fact" comment (of course you can always add a new comment if the existing ones aren't sufficient). Thank you to my friends who allowed me to use their names as sample students! This is a very simple--but very powerful--example of what EssayTagger.com can do now that all of your essay evaluations are in our database. Super-cool stuff! Next I'll give you some ideas for how to use this data in your classroom. Major new update: we now fully support class rosters in the system! I've designed it to be as little work as possible for teachers to build and manage their class rosters. 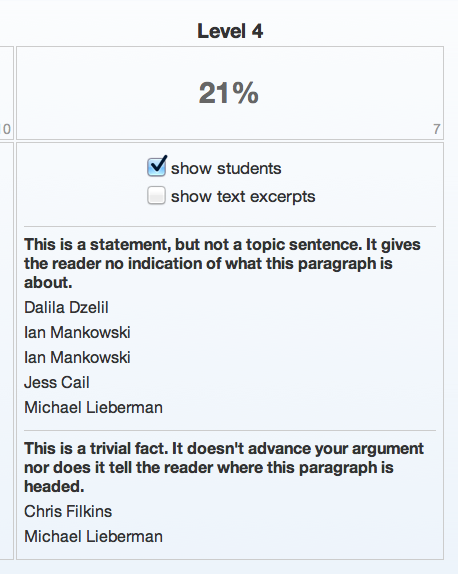 Under the ideal scenario (outlined below), you can let the students build the rosters for you automatically when they upload their first assignment.